What is the relationship between risk and valuations? 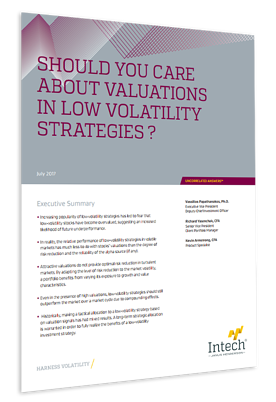 Can low-volatility strategies still provide value in the presence of high valuations? Do valuations predict future performance of a low-volatility strategy?